According to analysis published in the Journal of the Royal Society of Medicine, the number of emergency admissions to hospital via A&E departments increased significantly in England from 2001/02 to 2010/11, while the number via GPs decreased. The analysis was conducted by researchers at Imperial College London and was funded by the National Institute for Health Research (NIHR). 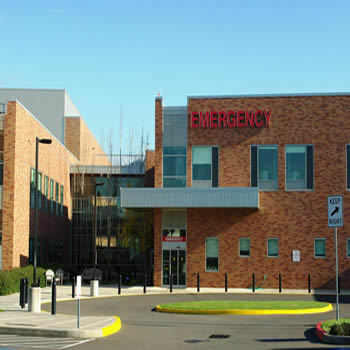 The analysis shows that the annual number of emergency hospital admissions via A&E departments increased by 72 percent (from 2.1 million in 2001 to 3.6 million in 2010). There was a 17 percent decrease in emergency hospital admission via GPs during the same period (from 1.12 million in 2001 to 0.93 million in 2010). The results indicate changing roles for A&E departments and GP practices with respect to urgent and emergency care in the NHS. The authors identify several factors that could explain the changing trend. These include demographic changes in the English population, the lowering thresholds in A&E departments, the increased failure of management in primary care and outpatient settings, the overall growth of medicine and changes in patient's healthcare-seeking behaviour. According to Thomas Cowling, NIHR Doctoral Research Fellow, from the School of Public Health at Imperial College London and lead author of this review, "Our findings suggest that the role of A&E departments as portals for emergency admission grew in England between 2001/2 and 2010/11, while the role of GP practices appears to have reduced. In other words, the decision to admit patients to hospital increasingly came from A&E staff, rather than GPs. This trend is curious and the explanation is currently unclear." Cowling also points out that despite efforts to reduce A&E attendance rates and recommendations to support admission to acute medical care, the role of A&E departments as portals for emergency admission has grown. This means that the responsibility for A&E staff as gatekeepers for inpatient care and care coordinators has increased. This increase however, is not reflected in how the A&E departments' activity is measured or reimbursed. The authors suggest the redesigning of the delivery or emergency services as a possible solution. For example, in northwest London, A&E resources will be concentrated. There will be major A&E departments at fewer hospitals and 24/7 GP-led urgent care centres will be set up at both local and major hospitals. Cowling concluded, "New models of urgent care services that employ GPs in or alongside A&E departments as gatekeepers to specialist urgent care ought to be evaluated before they are scaled up to avoid further ad hoc developments. This also applies to the current government's pilot scheme of extended opening hours in general practice."